You are here: Virgin Islands News Online » News » UK sends 14 Prison Officers to Her Majesty’s Prison @ Balsam Ghut! 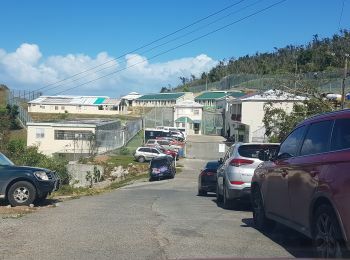 Well they might be wrong, as the United Kingdom (UK) Government has sent to Tortola some 14 Prison Officers to be assigned to the Government owned penitentiary located at Balsam Ghut on the main island of Tortola. The 14 prison officers, who happened to be all Caucasians and include 5 females, took up duties this week and, according to Superintendent of Prisons Mr David E. Foot, they are here to “train” the local staff and “help to look at systems as the prison rebuilds.” They are expected to be in the Territory for 6 months and the UK is expected to pay their salaries. Who asked for prison officers? 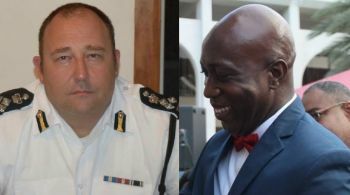 It is unclear how much of the financial burden the local government is undertaking; however, Mr Foot disclosed that "both the Minister of Education and the Governor agreed to the UK Officers coming to the Territory..."
Mr Foot, who had been out on sick leave for some time with eye surgery but returned to office late last week, is expected to leave office within a few months. 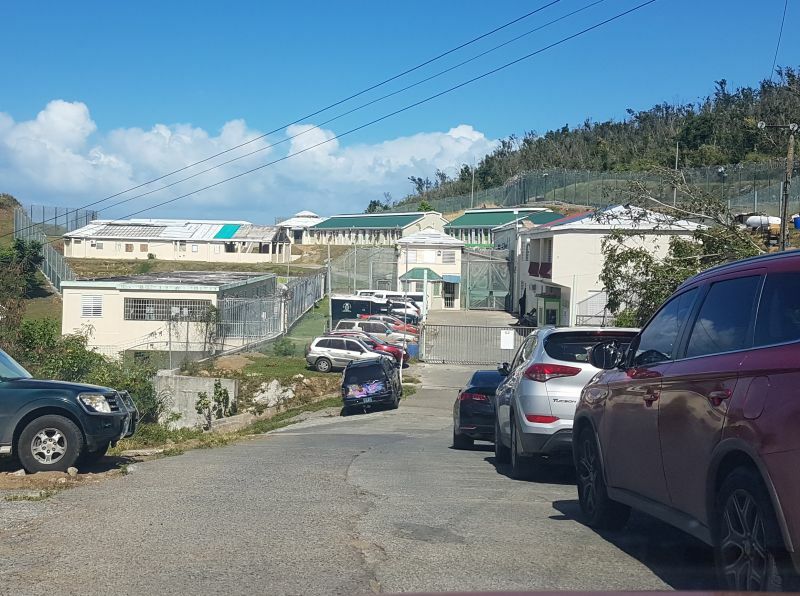 Many residents and families of inmates still have not recovered from the decision to have their loved ones being shipped off by the National Democratic Party Administration to St Lucia last year. To date, the local Minister for Education and Culture Hon Myron V. Walwyn (AL), who shares some responsibilities with the UK appointed Governor for Prison services, could not tell the people when the prisoners will be returned to the Virgin Islands (VI) from St Lucia. Following the killer storm of September 2017 Her Majesty’s Prison was also destroyed and prisoners were out free for some weeks, but many have voluntarily returned and others recaptured. To date there are still 2 prisoners on the run and it is believed they may have already fled the VI. Uk taking over .. Good in some ways . bad in others .. This island is a mess . so i guess it was bound to happen . colour of their skin has what to do with the job? Why is that the matter of skin color has to come up in every issue in this place? In the matter of crime one commentator felt that if a stray bullet was to hit a "white person" things may change. Here we are asking why no black person is included in the 14 prison Officers sent here. Would someone please tell me if some were black what difference would that have made? Would it have msttered if all were black? There is a serious problem at the prison does it really matter who fix it black or white? Pls someone educate me. @Black or White. To me it does not matter if they are all white. What matters, is that they treat the staff and prisoners like people, with no racism or discrimination. @ just asking: if you understand that life is about motive; then it defeats the purpose to send black officers out here......!!!! Given the current state of affairs in our country, could it be that these Officers were sent to prepare the prison to house more prominent guests like lets say certain members of a certain Government , . Could this be the motive? Remember the story/movie about the city TROY?. What may look like a gift could end up being our "Achilles heel"
we use to say the British are coming: hello!! the British are here now: the police are on the way as well(thats a good thing).....the financial watchdogs will be here sooner than later(that might be good because our leadership needs to do better with the tax payers money...it is shameful how our country is slowly slipping away from us....2019 election will be do or die for us as a people: our forefathers overcame physical slavery but we have ended right back in economic slavery !!! We NEED Uk intervention . Mr zzz turning a blind eye to the problems of this country . Wat race have to do wit anthing, the ministry fail to weed out d bad managers n officers who once they stay no amount of training can fixed d prison. Something s wrong with d system that ppl can mount up years get n a pay check n not producing. Ppl can take one year sick leave n work n wit no consequence. While others r loyal to the inmates. I hope the english fix this prison for once. I m glad these guys r here welcome to tortola. Make ur present be felt. 6 months? You think so? Eyes wide shut...they are here to stay, and by the way, there aren’t any Black police there who could have come? Say what you want, the take over has already been put in place right in front of your eyes. You can’t see that? Just watch. One never look a gift horse in the mouth is some wise saying. So thanks to the UK. Nonetheless, HL Stoutt, Noel, Dolf Faulkner and others must be restless in their resting places. In spite of being left as good only as a bird sanctuary, we travel so far but has falling farther in a short period of time. The weather events of August and September 2017, was the BVI’s Waterloo. The jail, one of the last capital project funded by the UK, was battered by Hurricane Irma and needs repairing. It was poorly led and managed for several years, since the retiring of the late former Supt. Ashford Frett. However, the schools were also damaged and needs repairing. Has the UK ever funded a high school or other institution of higher learning? Educating Virgin Islanders is more important than jailing them. Are Virgin Islanders to assume that the UK is quick to spring to action to jail them but slow as molasses to educate them? Who to blame for this nightmare——-VI people or the UK? The next generation of leaders are spending non production time at Balo; they are not contributing anything to national productivity. A tectonic shift is needed in our outlook and priorities. While we were busy pursuing the BIGS (Big Job, Big Car, Big House, Big Flashy Bling, Big Fashion) the country slipped away from us. The Brits are coming; they are coming back as they did in TCI. They are strategically and tactically making their move, ie, RVIPF, Finance, Jail, Civil Service, Courts, Public prosecution among other things. We have to blame ourselves. But we better wake from our self inflicted slumber or when we awake our roles may be relegated to being heavy lifters and gofers. Barry say you will hear. Our destination is being shaped wid our eyes wide open; that is good thing. If our eyes were closed, oh boi. Maybe if the officers here had backbone to deal with those prisoners instead of letting the prisoners rule them there would be no need for the UK to send their officers. Can u imagine a prisoner saying they don't want the meal that was prepared for them and flipping over the plate in the officer's face and sending them back to bring what they want to eat? One minute you are screaming from the Roof tops we are not getting enough help from the UK, when help does arrive I think we should be a little glad at least. New government all round needed, let the UK run the show until we have got rid of many of the issues outstanding. Government is really discouraging people to stay and help build a future, especially long term residents without a belonged status. D last time i heard s d governor s responsible for security of the island so police custom n prison. If u guys serious about tourism this s good for d VI. D prison have to many waiste of time staff. D selection process s a joke, train n s a joke, and a set of managers who r junior staff themselves. This is needed as the prison is out of control . More so we are housing some very dangerous criminals where there need to be maximum security and severe conditions of punishment. It is unfortunate but not all prisoners can be rehabilitated. That is why a prisoner can injure a prison officer and dont fair the repercussions of extending his time at Balsum Ghut. Perhaps no black Scottish prison service staff wanted to come and work here. If we hadn't let it get in such a mess we wouldn't need the help. Over use of the race card will eventually make it worthless. All white officers for training prison staff that I am sure is 100 percent black is an insult to our intelligence. How many whites were there before the storm! I am sure that the queen might provide some financial assistance,but she has several over sea territories,but the islands of the Caribbean especially Tortola is rarely mention among them. I am sure that there are some black officers in great Britain,if not it really says a lot about the he world power, when there is an event in britian the majority of participants are white, sometimes it is embarrassing to tell people that my nationality is British. We are as capable as the white man.